Waiting to cross Parramatta Rd, I innocently checked the posters for upcoming bands at the Annandale Hotel. Tucked away as support band for The Meanies is the triune named Stumblin Jesus Mosquito. 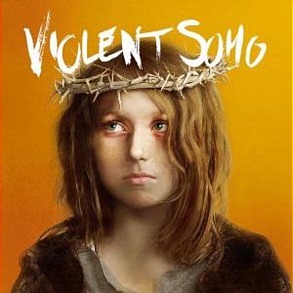 And then while trying to work out who the Stumblin Jesus Mosquitoes are (rumour says it’s the Wollongong band, Tumbleweed, incognito) I came across an ad for an album by Brisbane band, Violent Soho. The album title – Jesus Stole My Girlfriend (probably not a bad result). Posted in Culture, God-spotting, Music, Sydney S:eye:ts.Tagged bands, Jesus, Meanies, Music.